Rare opportunity to own a sound front deep-water lot in Topsail Beach on the ''south end''. House plans have been designed for this property which can be purchased if desired. Possible ocean views from the top floor with beach access directly up the street. 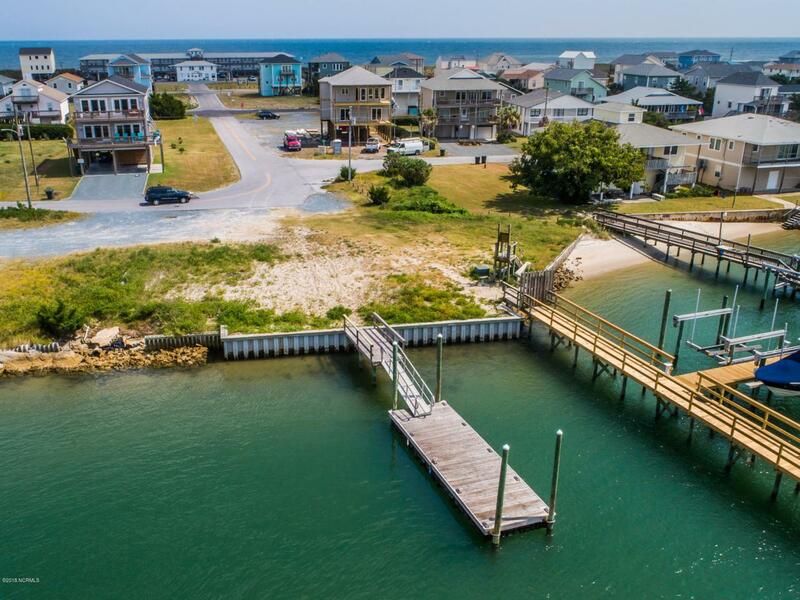 Lot has pier and large floating dock in place which will accommodate your boat as well as a seawall. Current house design offers 2,545 square feet of conditioned living with covered sunset porches and living space on both levels plus covered parking. This is a unique opportunity to build your own custom home on deep water here at Topsail Beach.